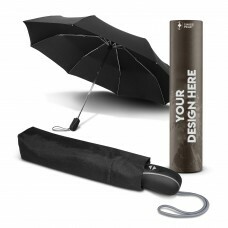 Perhaps you’re looking for printable umbrellas that are more compact in size. 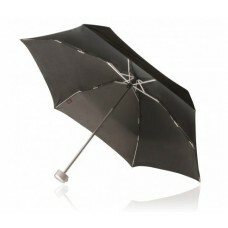 Umbrella Planet offers a variety of different folding umbrellas, each extremely compact and simple to store. We will custom brand your logo on these umbrellas and ship them direct to you. 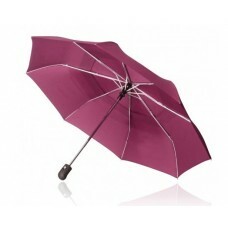 A folding umbrella is possibly the most looked over product in an entire household or car. When you do need protection from the rain, though, there is nothing more convenient than knowing you have a little item that will protect you from the rain when you need to step outside. Choose from executive-style folding umbrellas in appealing cases or pock-sized folding umbrellas designed for people on the go. We'll custom print your design on any folding umbrella that suits you. When you order compact folding umbrellas emblazoned with your logo, your recipients will never get caught in the rain again! 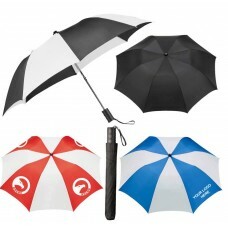 We are the best bulk wholesaler in Australia for umbrellas. Here at Umbrella Planet, we believe variety is the spice of life - that's why we offer a massive assortment of umbrella colours to meet all sorts of needs. Choose from foldable umbrellas in red | blue | green | yellow | black | white | pink | purple | grey and various combinations of colours. 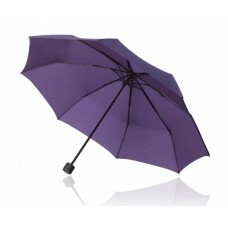 If we don't have a colour that meets your needs in stock, for an additional charge on your indent order we can produce PMS matched umbrellas uniquely branded with your design. 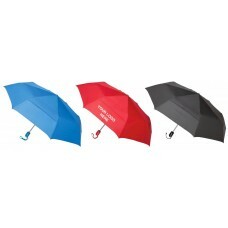 Listed prices for compact umbrellas include one-panel screen printing of your design in 1 solid colour. We can also print using additional colours for an amended price, just contact our sales team for more information. Nobody wants to get caught without an umbrella when rain hits. Umbrella Planet is proud to offer a large range of easily transported foldable umbrellas that can be carried in most briefcases, handbags and sports bags. 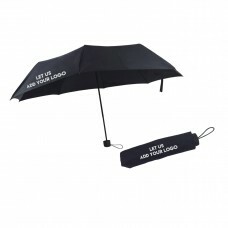 Your recipients will appreciate having an umbrella featuring your corporate logo, particularly when they can pop it out of their bag on a busy day and save themselves from getting drenched. People on the move need to have umbrellas that can travel with them. Let Umbrella Planet create the perfect customised folding umbrella for your next promotional campaign. 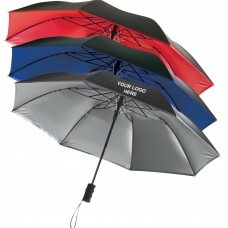 Umbrellas are fantastic corporate gift item or even giveaway product, but what happens when you need your umbrellas fast? At Umbrella Planet our standard speedy turnaround time for customised umbrellas is 2 weeks from your artwork approval. If you need your umbrellas fast than this we can absolutely accommodate your order - just let us know when you need your units and we'll do the rest! Umbrellas have been used by people, in some form, for thousands of years. The need to shelter from extreme weather is universal, but that doesn't mean technology or styles stay the same. Umbrella Planet is proud to stock a range of the latest in umbrella technology with compact units boasting automatic and manual opening options, fibreglass and electroplated steel frames, as well as a variety of canopy materials. Tech doesn't have to mean geeky either, all our compact umbrellas feature flawless, fashionable canopy options that will help your brand stand out in a crowd.